Fireplace Insert and additional fixtures are installed. The finishing touches of the house are starting to be made. Ceiling fans are installed, the fireplace is finished out and the appliances are starting to make their way in to the house. Maintenance on a home is one of the important things to consider in owning your own home. While owning a home is rewarding, maintaining one is demanding on the part of the owner. Every detail of the house counts in maintenance works -both exterior and interior. Maintenance requirements of each house depend on the size, features and other service installations found in the household. Cleaning the house is still part of the maintenance work. This also requires allotting resources, particularly finances, for maintenance work. While having a reliable handyman available for the household or on contact is a good idea, being knowledgeable in many home maintenance matters is best. When talking about maintenance on a home, cleaning is by far, the easiest part and can be done with different degrees and schedules depending on what part of house it is. Cleaning a house varies vaguely with different parts of the house and different materials to be cleaned. While cleaning the living room, kitchen and bathroom, as well as the bedrooms may require everyday attention, the stockroom or storage may take some time to be taken care of. Fabrics on sofa; steel, stone and glass tops need regular cleaning while pipes under the kitchen sink, tubs and other plumbing pipes may only be checked periodically. Different cleaning materials are also utilized at home together with various chemicals. When involving chemicals it is always a good idea to take precaution and know the proper handling and usage of these chemicals for safety purposes. It is also important to note the parts of the house that are most likely prone to be worn out or broken down easily. These parts are those that when broken or out of order have critical or significant effect on everyday lives. Moving parts or house installations that are used most of the time are those that are easily worn out in time. Door and window hinges, usually wear out easily especially for heavy installations, or just simply squeaked after some time. 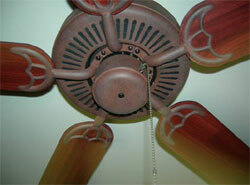 Light fixtures and bulb replacements are simple problems that may not need a handyman to be called upon. Leakage in water pipes, under sinks, and in tub connections in other parts of the house can easily be fixed with various plumbers' putty available on the market. However, electrical wirings involving primary house circuits, water pipe involving connection from the city line, and gas pipes require professional attention. If the budget for maintenance of one's home allows, taking a resident handyman to take care of maintenance works for the household is a good idea. A resident handyman must at least be able to troubleshoot most of the problems involving the utility-bound installations. The handyman must familiarize himself with the electrical wirings, water lines and gas pipes that are installed all around the house. Maintenance works on these parts not only involve repairs or troubleshooting units, but must also be subject to regular inspections. A series of tests on equipment and installations may be executed once in a while to check the effectiveness and efficiency of these features. As for the utility lines, running tests on them must be done routinely to ensure that no there is no leakage. Not only will these problems increase your bills, but may also lead to serious household problems, which in the case of a gas pipe leak, may lead to a dangerous fire. All in all, maintenance of one's home must be done accordingly depending on different house features available. However, if no one in the household is knowledgeable enough to do simple repairs; it is highly recommended to have a list of numbers of repair and maintenance manpower agency. The numbers for customer service departments of electrical, water and gas utility companies must be of top priority.